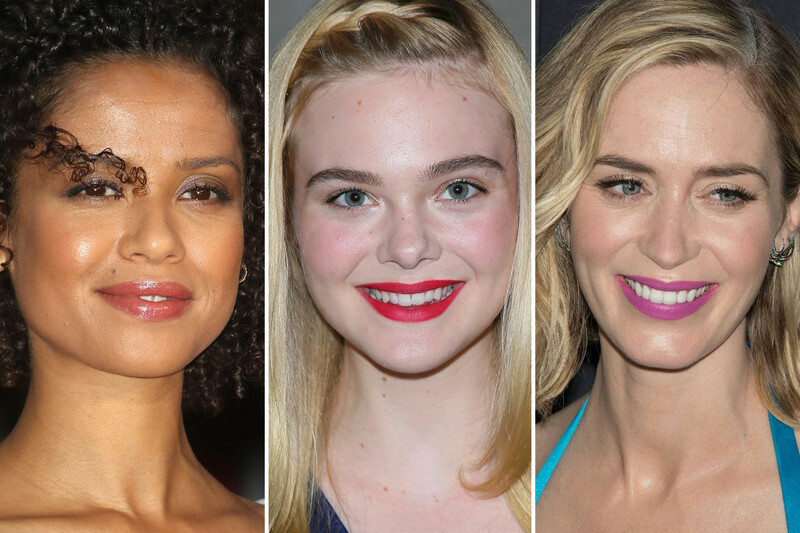 Elle Fanning, Gugu Mbatha-Raw and more. Even though deep, vampy, almost-black lipstick is the biggest fall makeup trend, not a single celeb chose it for the red carpet this week. Instead, I spotted cherry red, orchid purple, baby pink and tangerine orange—so don&apos;t put away your summer lipsticks just yet! Elle Fanning at the 2016 ASOS holiday collection launch. 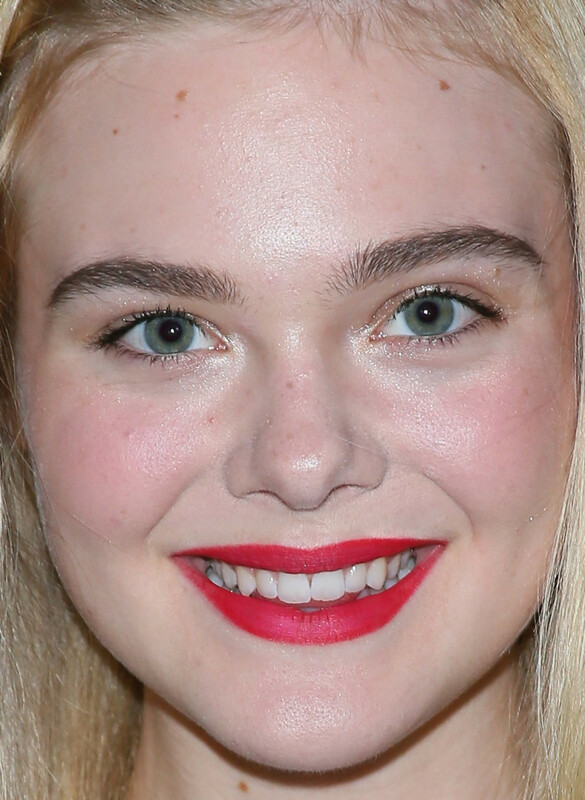 Close-up of Elle Fanning at the 2016 ASOS holiday collection launch. What I like: EVERYTHING! For the past few years, Chanel&apos;s Kate Lee has been my favourite makeup artist—but that might be changing to Erin Ayanian Monroe, who works with Elle Fanning. Does makeup get any better than this? I don&apos;t think so! From the red lip stain and rosy cheeks to the radiant skin and natural lashes, I&apos;m in heaven. The little braid adds an extra touch of coolness. What I&apos;d change: Nothing. What I like: Gugu&apos;s glowing, dewy skin and voluminous tight curls. There&apos;s just enough makeup here to accentuate her super-pretty face: peachy gloss, shimmery shadow and mascara on her upper lashes only. Less is truly more. What I&apos;d change: Nothing. Nicola Peltz at the Givenchy Spring 2017 show. Close-up of Nicola Peltz at the Givenchy Spring 2017 show. What I like: Nicola&apos;s dreamy, peachy cheeks and lips. I don&apos;t know what kind of lighting she&apos;s standing under, but I need that ASAP! (Also: you know I love me some peach.) I think her new, warmer blonde helps bring out these flattering warm tones on her skin. Long lashes and dark brows are all she needs to frame her face. What I&apos;d change: Her upper lip is growing at a rapid pace, eeks! Marie-Ange Casta at the Chanel Spring 2017 show. Close-up of Marie-Ange Casta at the Chanel Spring 2017 show. What I like: Marie-Ange&apos;s 2016 take on &apos;60s beauty. We&apos;ve got the cool pink lips (which aren&apos;t too light or chalky) and a baby winged eye, but the crazy oversized earrings and loose, natural hair make it look modern. By the way, if you thought she looked familiar, it&apos;s because Laetitia is her older sister. What I&apos;d change: Perhaps just blending the blush a little better. What I like: Felicity&apos;s glossy, rounded bangs. She has one of the best fringes in Hollywood, no? 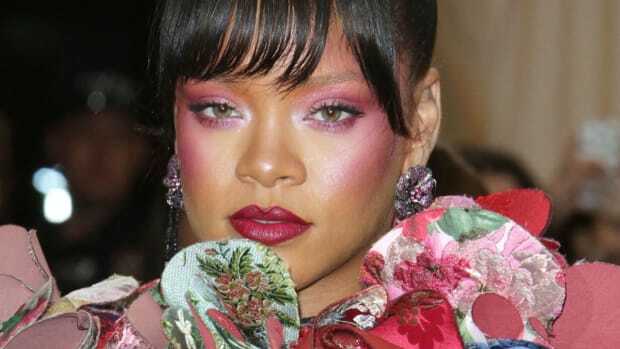 Her makeup is super-soft this time, with bare-ish skin, peach blush and lip gloss, and just a little smokiness on the eyes. What I&apos;d change: Thicker, more dramatic lashes (but not obvious falsies!) would take this to the next level. Rashida Jones at the 2016 Revlon Philanthropic Luncheon. 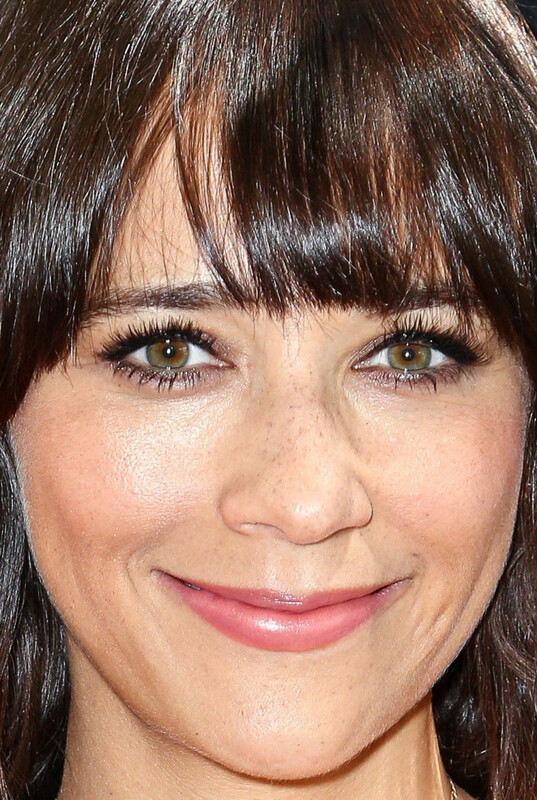 Close-up of Rashida Jones at the 2016 Revlon Philanthropic Luncheon. What I like: Rashida&apos;s wavy bob and bangs. They look air-dried, not "done," which I love. I&apos;m also happy to see her cute freckles not covered up by makeup. What I&apos;d change: I don&apos;t love this set of false lashes—some fun eyeliner might&apos;ve been better. Kristen Stewart at the 2016 New York Film Festival. 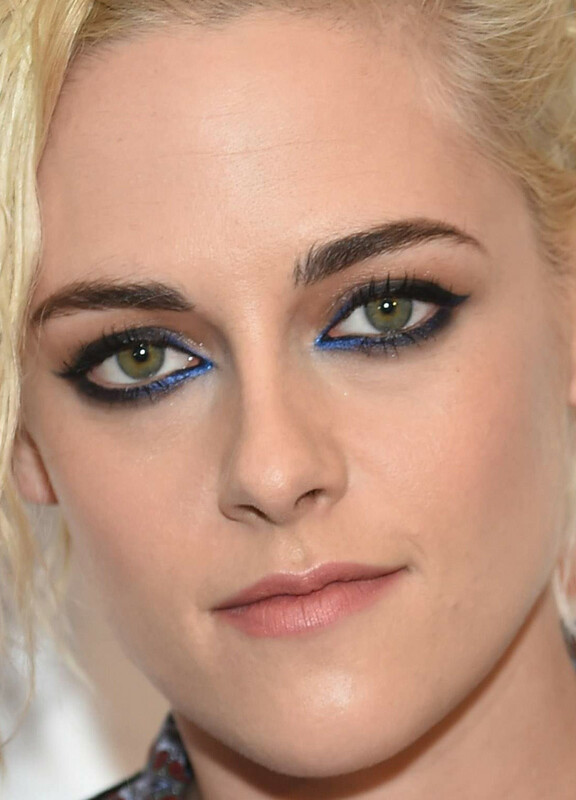 Close-up of Kristen Stewart at the 2016 New York Film Festival. 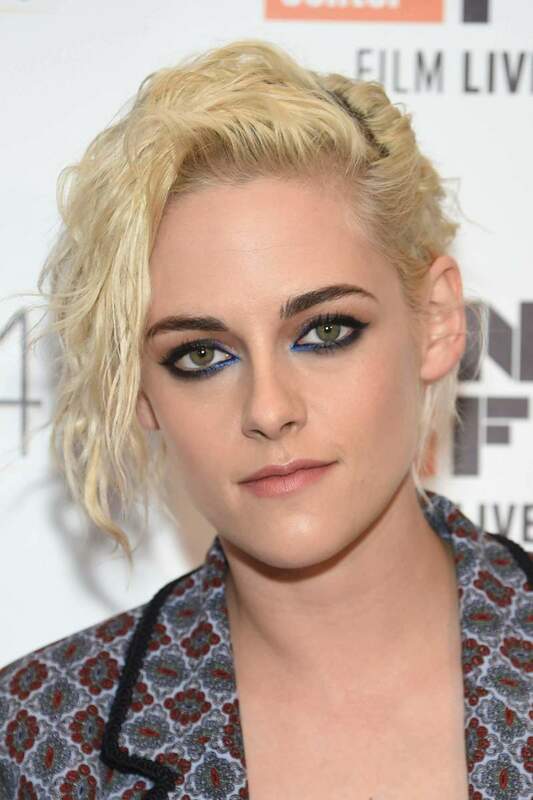 What I like: Kristen&apos;s 360-degree cat eyes. I admire that she can pull off such dramatic looks, and there&apos;s always that lived-in quality, so it&apos;s not "wearing" her. The electric blue at the inner corners makes this even more unique. She wisely kept her lips and cheeks neutral. What I&apos;d change: I&apos;m waiting patiently until this blonde phase is over. What I like: The contrast of Bryce&apos;s black winged linger against her natural skin. 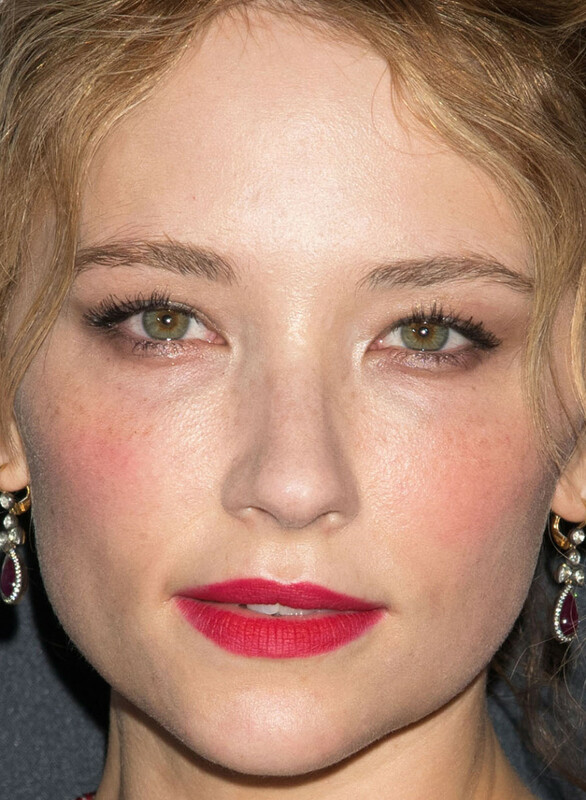 It&apos;s that one little touch that dresses up her makeup, but the rest is very, very fresh. She looks great in peachy lip gloss to match her hair tones, and I love her straight brows. What I&apos;d change: This hairstyle (a low ponytail) is a bit blah from the front. Charli XCX at the Emporio Armani Spring 2017 show. Close-up of Charli XCX at the Emporio Armani Spring 2017 show. What I like: Charli&apos;s rich, creamy red lipstick and chunky, natural lashes. This is a look (and a pose!) she returns to again and again. Despite a few blemishes, her skin finish is luminous, not cakey. Great brows, too. I like that she left the one shorter piece of hair out at the front, tucking the rest behind her ear. What I&apos;d change: It doesn&apos;t bother me much, but her face is lighter than her body. What I like: Haley&apos;s blue-red lip stain and matching cheeks. It&apos;s the same idea as Elle Fanning&apos;s look, but Haley added long lashes and threw her hair up into a high bun. I really like the fuzzy, wavy pieces at the front. Her skin and brows look great also. What I&apos;d change: I can live with the false lashes, but I think the blush blending needs improvement. It looks like the stain set too quickly. What I like: Eva&apos;s glam witchy vibes. Sometimes, I feel like her dyed-black hair is too harsh, but I think it looks good here, especially with the smudgy shadow and liner all the way around her eyes and in her waterlines. (This is a good makeup technique for heavy lids, by the way.) Her voluminous hair acts like curtains on either side of her face. What I&apos;d change: I&apos;d soften the edges of her lip colour, and tame the frizz in her hair. 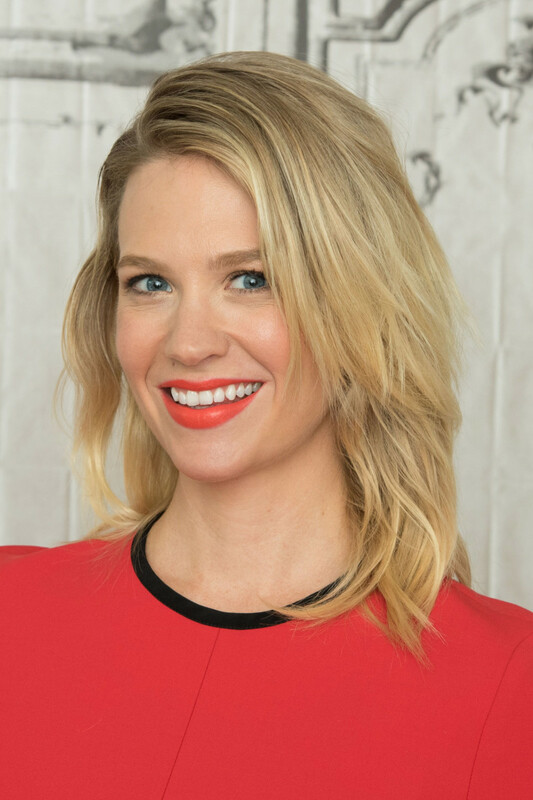 January Jones at the 2016 AOL Build Series. 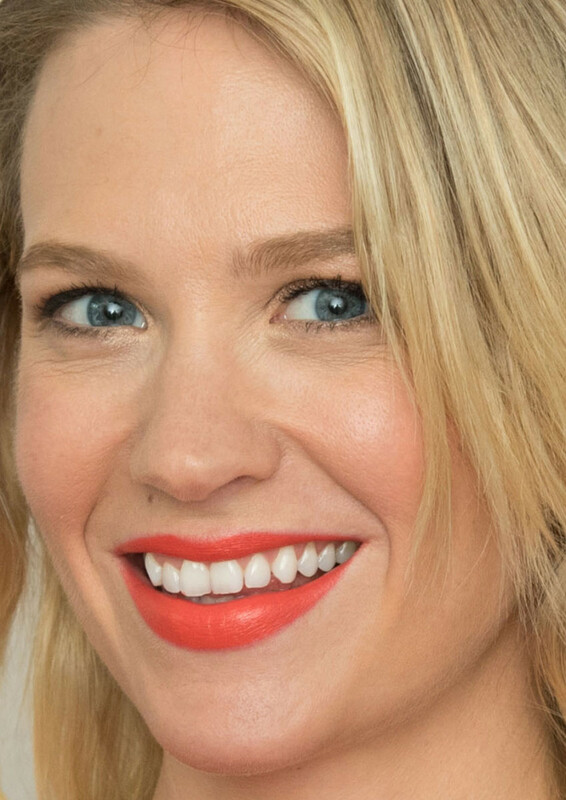 Close-up of January Jones at the 2016 AOL Build Series. What I like: January&apos;s creamy orange lipstick. I always love this shade on blondes—and it&apos;s an interesting choice here because her top is red. I&apos;ve often felt her beauty experiments didn&apos;t quite work on the red carpet (remember this one? ), but she can&apos;t go wrong with just mascara on her lashes and a soft blowout. What I&apos;d change: Nothing. Sarah Hyland at the 2016 No Kid Hungry event. 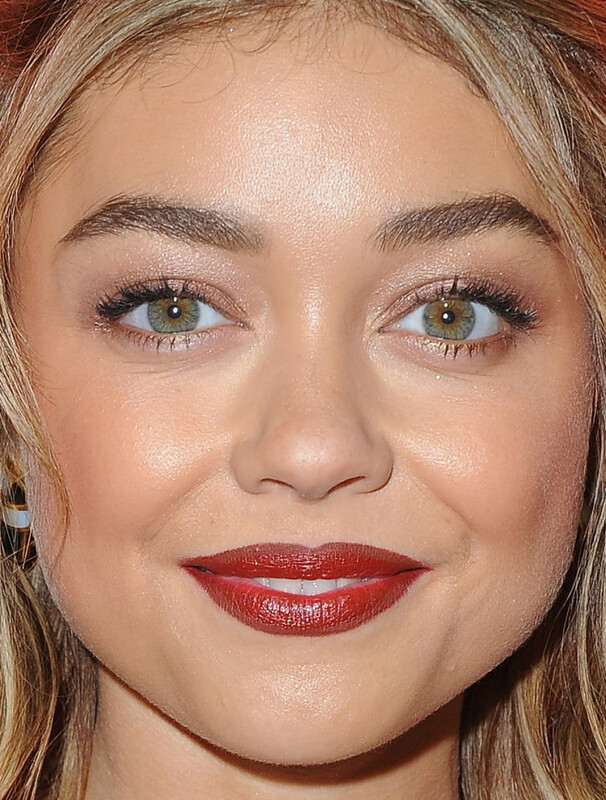 Close-up of Sarah Hyland at the 2016 No Kid Hungry event. What I like: Hooray, Sarah is for once not wearing false lashes! I suppose it&apos;s because she chose this rich brown-red lipstick with a super-precise shape. The half-up hair and piecey texture look good, not contrived. What I&apos;d change: I&apos;d next love to see her ditch the bronde and go back to dark brown hair. I think she&apos;d also look way better with her normal skin tone instead of these spray-tans. This is the goal! 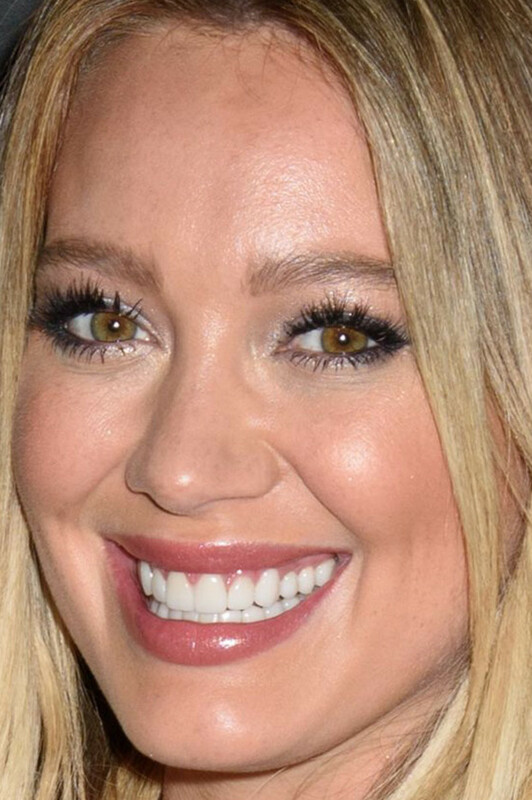 What I like: To be honest, it&apos;s Hilary&apos;s cute smile here that appeals to me more than any specific beauty statement. But her skin does look good, and I like this hairstyle and length for her. What I&apos;d change: Obviously, I&apos;d tone down the lashes. I think she&apos;s another one who might be too blonde and too tanned—I&apos;d rather see closer-to-nature hues on both hair and body. What I like: Jennifer&apos;s incredible, incredible eye makeup. How did I not notice her beautiful almond shape before? The smudged winged liner and subtly shimmery purple shadow are perfection—no big lashes required. 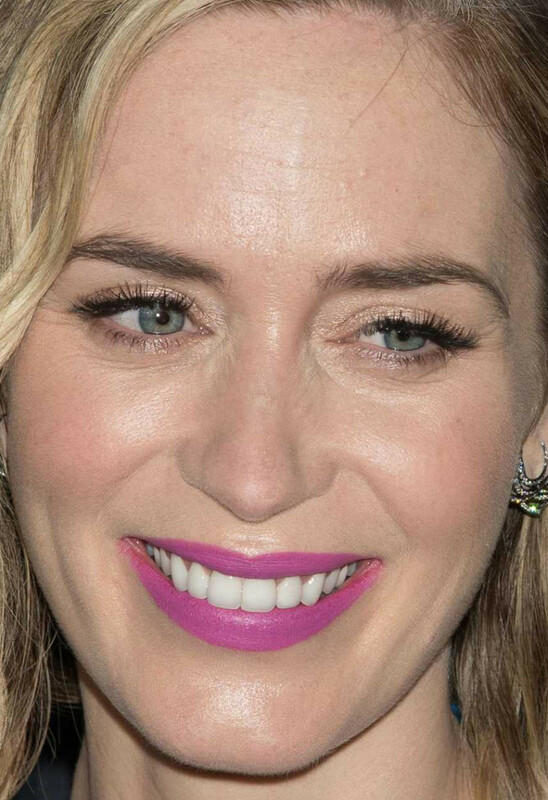 At 45, she still has the most enviable set of eyebrows. 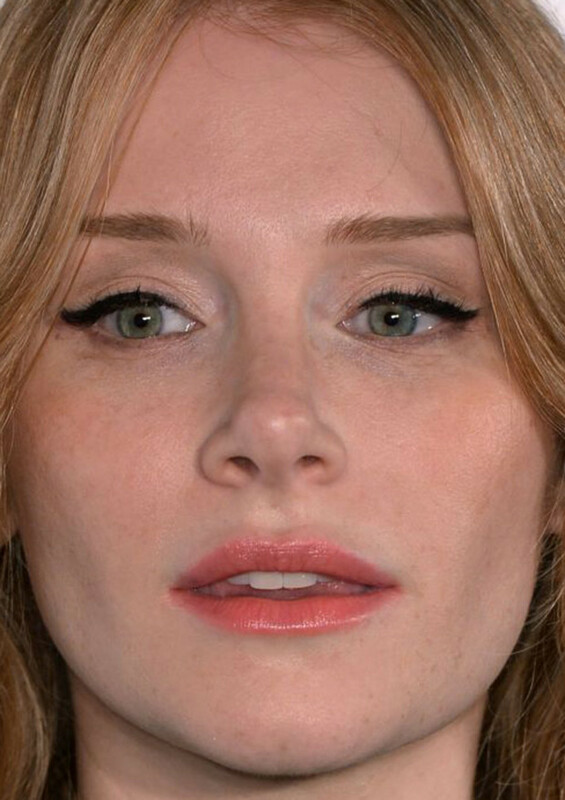 What I&apos;d change: They&apos;re probably accentuated by the camera, but I see some stray hairs underneath her lower lip. Mischa Barton, Gal Gadot and more. Karlie Kloss, Lupita Nyong'o and more. Elle Fanning, Nicola Peltz and more.